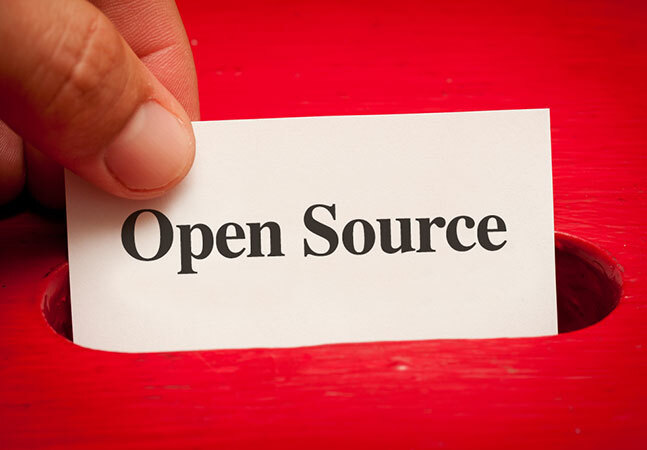 Microsoft announced on Wednesday that it is joining the Open Invention Network (OIN), an organization that protects its members from patent infringement claims regarding the use of the open source Linux operating system. We know Microsoft's decision to join OIN may be viewed as surprising to some, as it is no secret that there has been friction in the past between Microsoft and the open source community over the issue of patents. For others who have followed our evolution as a company, we hope this will be viewed as the next logical step for a company that is listening to its customers and is firmly committed to Linux and other open source programs. Those past frictions included multiple threatened legal actions, even against Microsoft's partners, and mostly concerning the use of the Linux-based Android operating system. Microsoft's aggressive actions against open source software, and Android in particular, took on a renewed scope in 2007, when top legal officials at the company claimed that Linux had infringed 235 of Microsoft's patents. Seven years later, with many patent infringement settlements under its belt, it was estimated that Microsoft's legal actions had wrested billions from companies using the Android OS. Microsoft took those actions when its Windows Phone operating system was still struggling to gain a foothold with hardware partners. Microsoft has since switched tactics. These days, Microsoft tends to build its Office applications first for Linux OSes. Windows Phone is a largely neglected platform. Possibly, Microsoft's OIN membership represents an end to its "war on Linux," and the Google-fostered Android OS in particular. In a recent Open Source Virtual Conference keynote talk, John Gossman, a Distinguished Engineer on the Microsoft Azure Team, described Microsoft CEO Steve Ballmer's 2001 comment that Linux was "a cancer" as being "a fundamental misunderstanding of open source." Microsoft has greatly shifted its attitude toward open source software with Satya Nadella as CEO, he contended. Keith Bergelt, OIN's CEO, suggested in response to a question that Microsoft's membership in the OIN represents a turning point of sorts. "We view Microsoft joining the Open Invention Network as a significant inflection point in the history of open source," Bergelt said via e-mail. "As an organization, Microsoft has evolved to the point where they recognized the benefit of shared innovation at the core of key technologies -- with everyone having the freedom and ability to focus the majority of their resources higher in the technology stack. We do not foresee Microsoft going in the opposite direction." Microsoft and the OIN had been in discussions about membership over "the last few years," Bergelt noted. The OIN bills itself as a "community of patent non-aggression." It uses "a defensive patent pool" to support Linux. OIN members share the organization's pooled intellectual property royalty free in a cross-licensing scenario. The organization also acquires patents specifically to protect the Linux OS. Moreover, users of OIN's patents have to agree generally not to assert patent claims against the Linux community, according to the OIN's FAQ page. The OIN currently has more than 2,650 members and is funded by companies such as "Google, IBM, NEC, Philips, Red Hat, Sony, SUSE, and Toyota," according to the organization's FAQ. Microsoft is just a member of the OIN, which is free to join. It's not a funder of the OIN, according to Bergelt. "While our patent portfolio is of considerable value -- on the order of hundreds of millions of dollars -- any person or company can gain access to OIN's patents for free so long as they agree to cross-license their Linux-related patents to all other OIN licensees and refrain from litigating such patents," Bergelt said. Microsoft plans to bring "a portfolio of over 60,000 issued patents to OIN for the benefit of Linux and other open source technologies," according to Andersen. He cited other Microsoft efforts that add protections for open source software, including the Azure IP Advantage program, which indemnifies Azure users against external software infringement claims (Azure services use open source software). The Azure IP Advantage program also has about 60,000 patents in reserve, but 10,000 of them are used for legal defensive purposes, according to a Microsoft spokesperson. Bergelt explained that organizations joining the OIN have to sign a cross-licensing agreement and if an organization has "patents that are addressed by the Linux System definition, then they are cross licensing them to other OIN community members." Microsoft is still free to sue organizations that are not part of the OIN, Bergelt noted. In related news, Andersen announced earlier this month that Microsoft had joined the LOT Network, a group that offers a defense against "patent assertion entities," more popularly known as "patent trolls." A patent assertion entity is a patent holder that "generates more than 50% of its gross revenue" from enforcing intellectual property claims against other entities. LOT Network members are granted immunity from patent claims if a LOT Network member sells a patent to a patent assertion entity, according to the LOT Network's overview page (PDF). Microsoft joined the LOT Network because it has "faced hundreds of meritless patent assertions and lawsuits over the years, and we want to do more to help others dealing with this issue," Andersen indicated. He suggested that Microsoft's membership would serve to protect other software developers, as well. Many patent assertion claims affect smaller organizations. About a third of the LOT Network's members are startup companies. Under the LOT Network program, Microsoft must transfer a license to an affected company for free if it sells a patent to a patent assertion entity. Microsoft has a similar arrangement with its Azure IP Advantage program, Andersen noted.